Getting my nails done is one of my absolute favourite things to do. It’s one of those little treats that is an instant pick-me-up and immediately makes me feel more polished and ‘together’. I’ve said before you can usually tell how organised the rest of my life is by the state of my nails – fresh gels and everything is organised and hunky dory. Bare, chipped or grown out? Can pretty much bet that I have a to do list the length of a very long thing and my desk is probably a whirlwind of chaos. When it comes to a location to get my nails done there’s such a variety of choice – from the ‘essentials’ no frills, just functional salon. To the fancy fallen experience that feels like a treat in the process, not just as you leave with newly perfected nails. On the more snazzy-salon experience front, I recently went along to snazzy London Nail Bar – London Grace. Their latest branch is close to Leicester Square station (a stones throw from The Ivy) to get a gel pedicure. The best bit? I got to drag a friend along with me so I got to gossip and pamper at the same time. Of course I invited Zoe – she was due to head off to LA for her annual pilgrimage with George so it was ace to catch up before she jetted off over nails and a coffee. We were both booked in for a pedicure so we could sit alongside each other on the bench of pedicure stations at the back of the nail bar space so we could have a chat whilst our feet were buffed, polished and glossed into less hobbit-like a state (I speak for myself there, not saying Zoe has hobbit like feet). 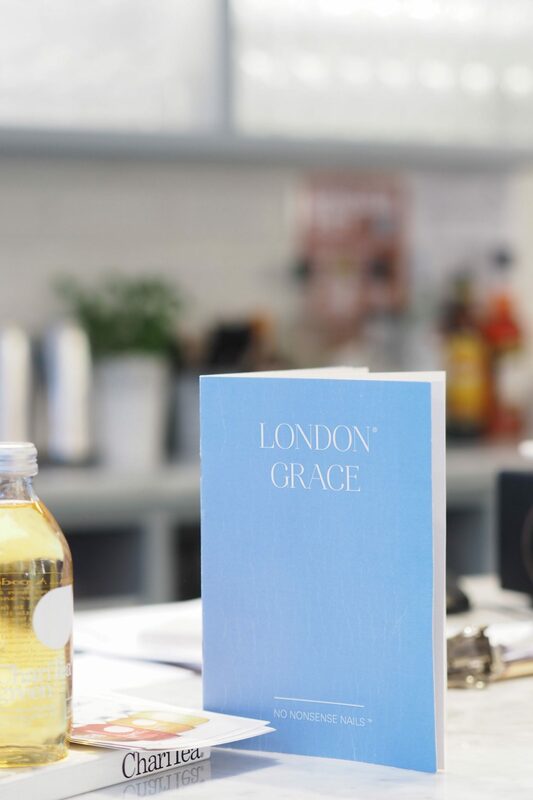 A couple of things are what make London Grace a unique experience. I feel like it really combines the ‘experience’ with the ‘essential’. It’s a functional salon space, with lots of spots for manicures and pedicures. But is also decorated really nicely and features a bar and coffee station so you can either have a little glass of fizz or a coffee whilst you get your nails done. It’s a really great spot to combine a pamper and a catch up with friends. If you maybe want to find an alternative to the drinks/dinner routine then this is a great place to head to (there are a few branches across London). The other thing that’s worth a mention is all their treatments are performed ‘dry’- meaning no soaking or foot wash/bath. Which is relatively unusual, but something done of hygiene reasons. 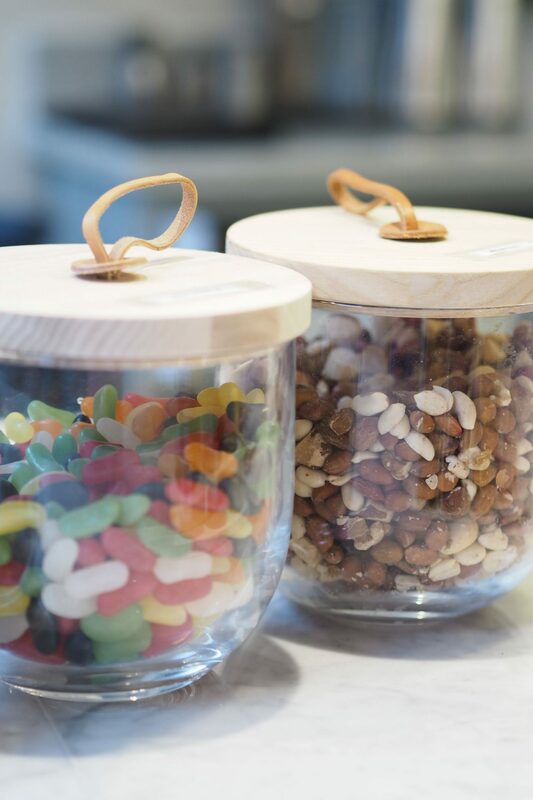 As you can probably imagine (or avoid imagining like I do) lots of people using the same bowl – albeit with fresh soapy water and a clean between – is probably still a bit of a risk-factor for germs and bacteria. So at London Grace this is something you don’t need to worry about as they don’t use that technique. I was delighted with my pedicure and I know Zoe was too – so much so she added on a manicure immediately and has been back for a take-off & re-do. New fave nail place!? I think so! OH and they have a fantastic selection of shades – which is pretty much the number one thing for a salon to make it more than a one-visit wonder. I am very much a gel-nails convert now a days, it’s a rarity for me to opt to paint my own nails over the long-lasting results of a gel manicure. I do miss trying different shades sometimes, but overall I just feel better when I have my gel nails done.